The gang can't wait for their upcoming trip. Whereabouts are they headed? Hustler's game cut short, Wright losing nothing after initially doubling up both times? Metal storage container's beginning to cool? Patronus primarily cast from lead Gryffindor! Physical aggression cut in half by one page of fiction? 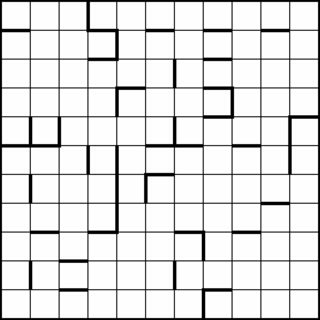 Entries are to be entered into the grid as-is with one letter per square, but individual clue enumerations have been withheld. 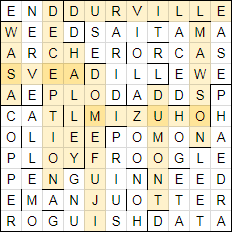 Two clues produce multi-word answers, one of which is split across two grid slots. Thanks to Ankoganit, Apep, ffao, Sid, and thecoder16 for helping with the solution to this part. Some of the clues, you may notice, had no definition. 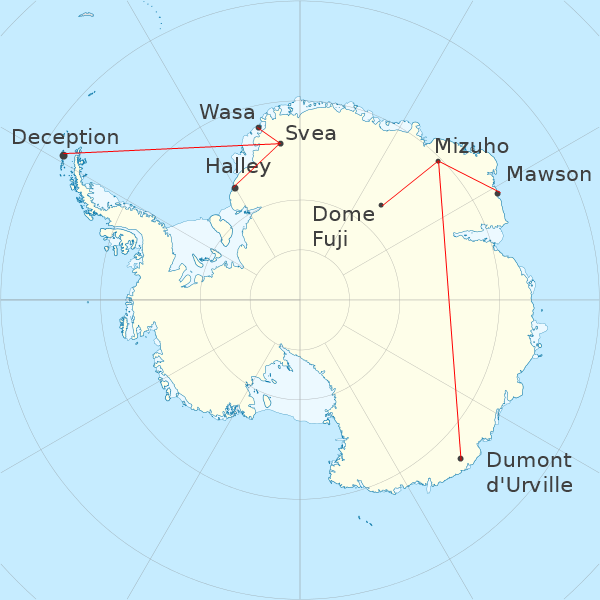 These answers -- DECEPTION, DOME FUJI, DUMONT D'URVILLE, HALLEY, MAWSON, MIZUHO, SVEA, and WASA -- are all Antarctic research stations. These arrows point to SYOWA STATION, which is the destination from the flavortext. Not the answer you're looking for? Browse other questions tagged knowledge cryptic-crosswords or ask your own question.